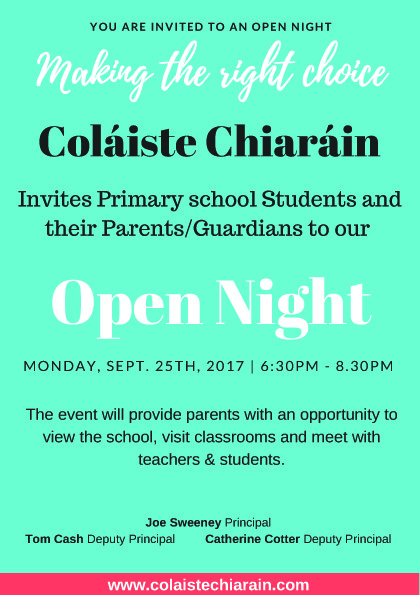 Our Open Night takes place on Monday 25th September. All 5th and 6th students are invited to attend. 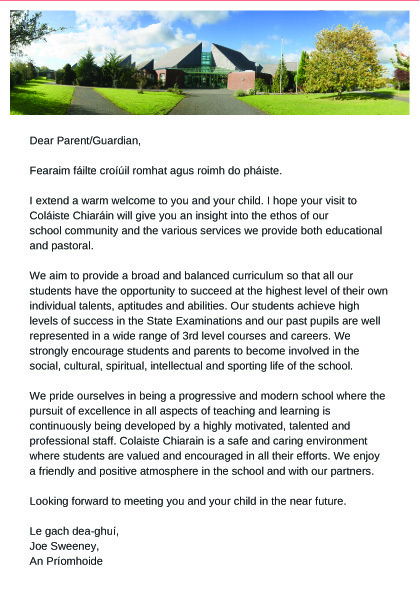 Parents and students will have an opportunity to view the school and to meet with subject teachers and students.